There is no stamping on that card at all, just the tags and some hodgepodge from around the desk. 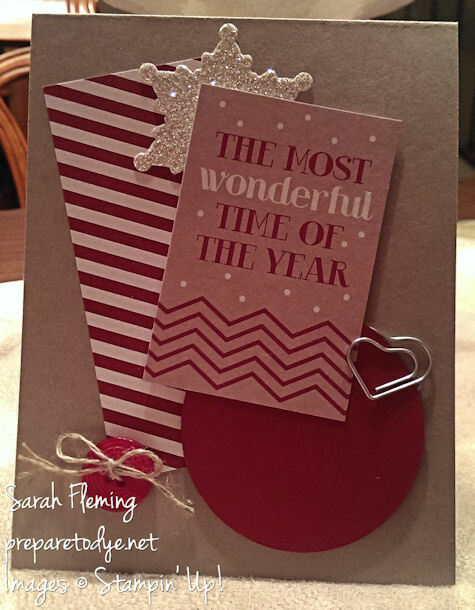 This next one doesn’t have any stamping, either. The last one is my favorite. How can you not be jolly when you’re looking at Santa holding a candy cane? 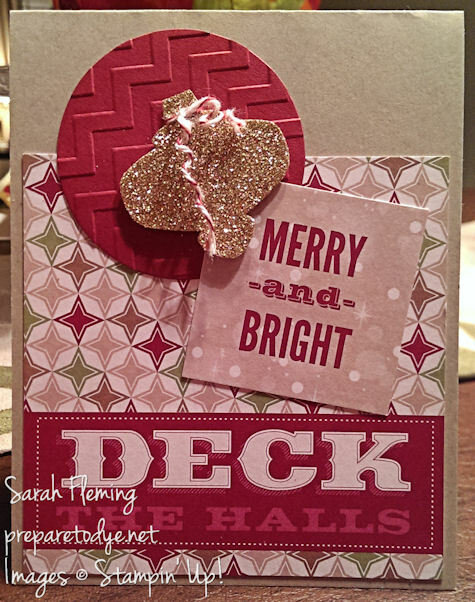 These cards were so easy to make! 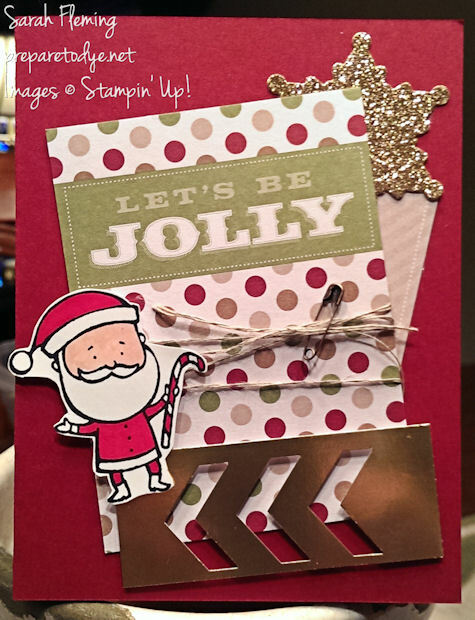 If you want to make some, you can buy the tags and all the other supplies in my Stampin’ Up! store, 24/7.